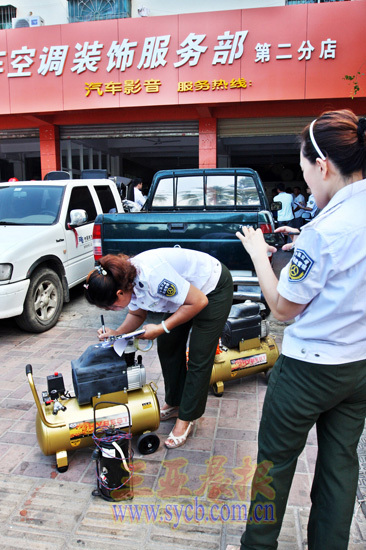 Sanya City law enforcement officials began a crackdown Tuesday on unlicensed auto repair shops at Yuechuan Road and Hedong Rd sections, reports sycb.com. The move was triggered by the many complaints the city has received about excessive noise, motor oil spills, vapors, parking and negative services offered by auto repair shops throughout the city. Enforcement efforts against unlicensed auto repair shops will last until Nov.4. It is not the government’s intention to close down repair shops, but rather bring their operations into compliance with regulations. Under current regulations and standards, a total of 99 auto repair and service shops exist without sufficient licenses in the city. .